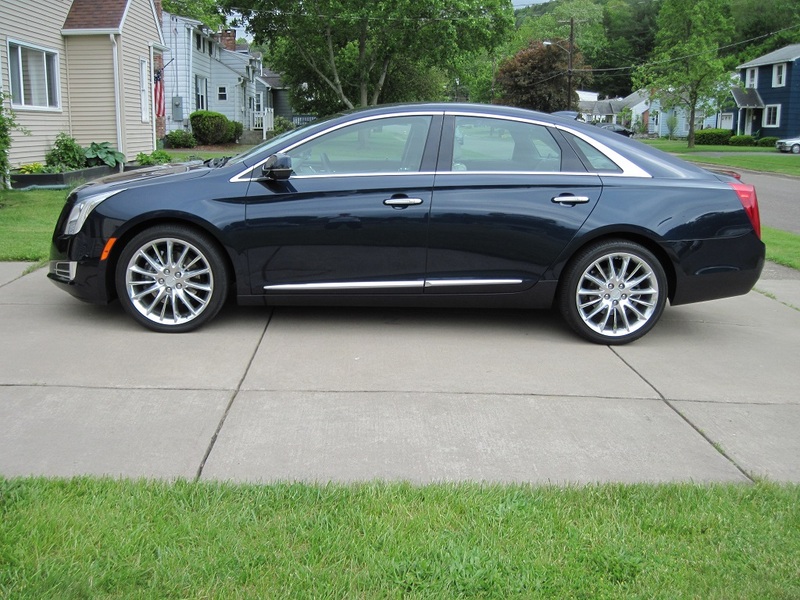 Picked up my 2016 XtS Platinum back in May of 2017 and joined the forum a little while ago. I wanted to post pictures with my "just joined" thread but I could not downsize them but I finally figured it out so here is one. I still like this car as much as the day I brought it home. It has 9500 miles on it now, it is a pampered garage queen. Sold the corvette and got this. It is Adriatic Blue and would look Ok with tinted windows but I can not see good through them. Maximln, Cadjiek, GFK and 2 others like this. Ha! I remember someone suggesting I tint the windows on my first Caddy, a 2008 DTS. I know there may be climate related justification for doing so. But my comment to the suggester was: I waited dozens of years to be able to afford such a car. I want people to see me in it !! Maximln, RedCadi and apb like this. I went from a 2012 GS ‘vert to my XTS, also. It was time and I never looked back. Beautiful! Excuse me, I'm a bit color blind. Is that the dark blue color? If so, I don't ever see many of that color on the street or in dealer lots. Gorgeous Caddy! Welcome to the club! It is hard to tell the color but mine is the Dark Adriatic Blue. I really love it! Have fun with it! Car looks awesome. Love my 16 black Platinum but still kept my corvette. Wish I did not sell the corvette. I sold it when I lived in NY, The roads were terrible where I lived and is was not fun wreaking the car on the pot holes. I since moved to TN and the roads here are so much better and driving through the Smoky mountains is awesome. Sure wish I had it here but the XTS works!